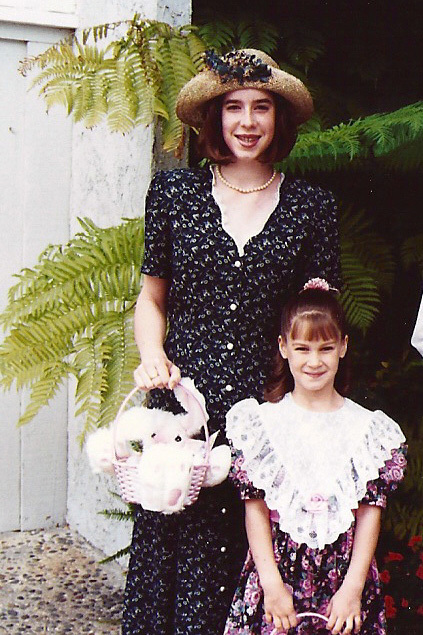 This week, I’ll be doing a little series I’d like to call “fashion misses”. This past weekend, I organized my mom’s closet that was FULL of old photos. I had so much fun and really hadn’t laughed that hard in a long time. It makes me wonder if my kids will be saying the same thing as they scroll through my blog or look at their scrapbooks…I really have tried hard to not dress them in silly trends, but when they get into jr. high? I know that terrain is rocky, and I will have to loosen my rein in some degree. 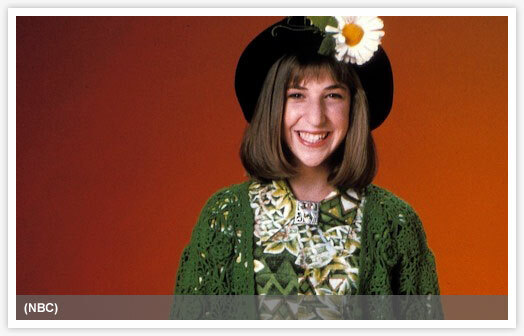 So today’s post is called “Channeling Blossom (the TV series)” for a reason. You will probably figure it out right away if you watched that show. 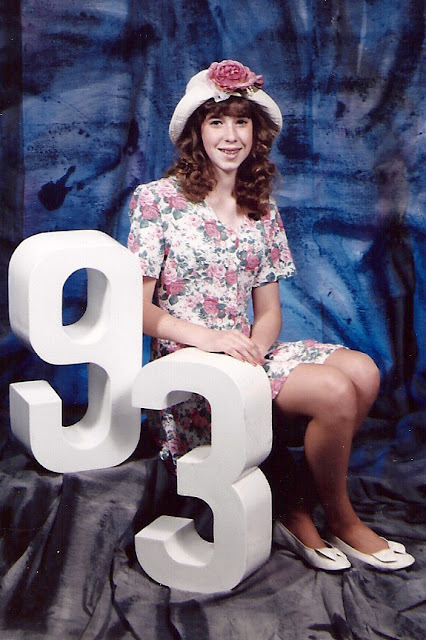 And, yes, I definitely was in jr. high. I look like summer, but indeed, it was Christmas, and I was putting out decorations! 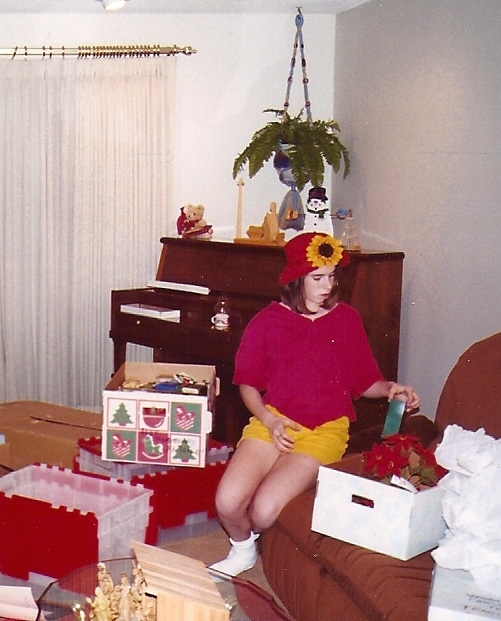 I remember “making” this hat and I was so proud…ugh.